Is your practice EMV “Chip Card” compliant? All participants in the GVMA credit card processing program using terminals are and along with the program savings, the new terminals were provided at no cost. Beginning October 2015, all member practices that accept credit cards at checkout are required to have an EMV chip enabled credit card reader or the cost of fraudulent transactions can revert back to your practice. As of the end of January 2016, Visa announced that only 17% of “card present” transactions were using EMV and only 30% of the possible US locations had the equipment. By August, 2015, our credit card processing partner, Piedmont Payment Advisors, provided a new VeriFone VX 520 "chip card" terminal to all then existing GVMA program participants at no cost. Piedmont continues to provide free terminals and very competitive pricing to all new GVMA program participants. They have worked with your association since 2009 and provide significant financial support in the form of royalties that increase every year as the program grows. Piedmont Payment Advisors is an independent agent company of Century Payments, one of the fastest growing payment processors in the US. Included on the INC 500’s list of the fastest growing privately held companies in the country for the third year in a row, Century provides a level of service to agents and clients that is second to none in the credit card processing industry. 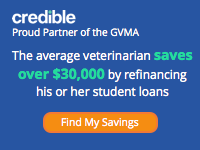 Piedmont has been an affinity partner of the GVMA since 2009 and is a specialist in providing credit card processing to hospitals, physicians, and veterinary practices. The roughly 15% of our business that is not medically related has been referred to us by our Veterinary or Physician Practice clients. We have the capability to board clients to multiple payment platforms in order to accommodate most equipment and software packages. Pricing is based upon Interchange or “cost” plus providing the most transparent statements and inevitably leads to the lowest total cost for our clients. Lower total cost, though important, is only half of the reason our clients chose us. Superior customer service and a single point of contact is why we have one of the lowest client attrition rates in our industry. GVMA member practice references are available upon request.